It’s the 2nd day and final day of the Nokia World in London today and aside from the Lumia-Windows-Phone related posts we’ve covered for you, we did something else that fits to clench the Lumia thirst you all have. Presenting the Nokia Lumia 800 (and Nokia 710) Amazing Everyday Ringtone that is absolutely free to download directly from your phone’s browser or into your PC. So get ready to pump up your Symbian, MeeGo, and Nokia S40 devices with this Amazing Everyday tune. By the way, if you still remember that we also share the Nokia N8 robot thing ringtone last year that you can still download. No problem man. Credit goes to NokiaWorld team. I can remember that Nokia started a compettition to create a new Nokia ringtone. Is this ringtone the result of this compettition? Nope. This is the one from the Lumia 800 Amazing everyday TVC. thanx to nokia tesm for introducing it. I search all original ringtones of this phone. Message, clock alert etc. all of this. Where I can download these? Nice work. Please keep us informed with such useful information. Every one looking for Nokia product.Its great stuff.I enjoyed to read this kind of valuable information. Nice information. Brilliant blog. Definitely given me something to think about.Interesting I found this blog by accident. Really glad I did though, I’ll be back from now on. 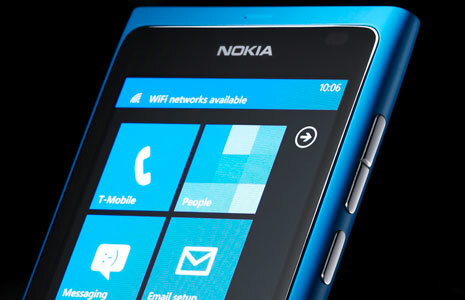 how to get new ringtones to the nokia lumia 800 windows phone ? Check Out the Official Song..! Its pretty great..!! it may addict you..!! totally enormous extinct dinosaurs – Garden ..!! Impressive informative article. Your set of presentation are really had a great chance to buildup web marketing popularity. sharing.Keep sharing as always in future to. touch with us and given the more info about Nokia. We can easily search any kind of information with the help of this.Thanks yo share this blog .